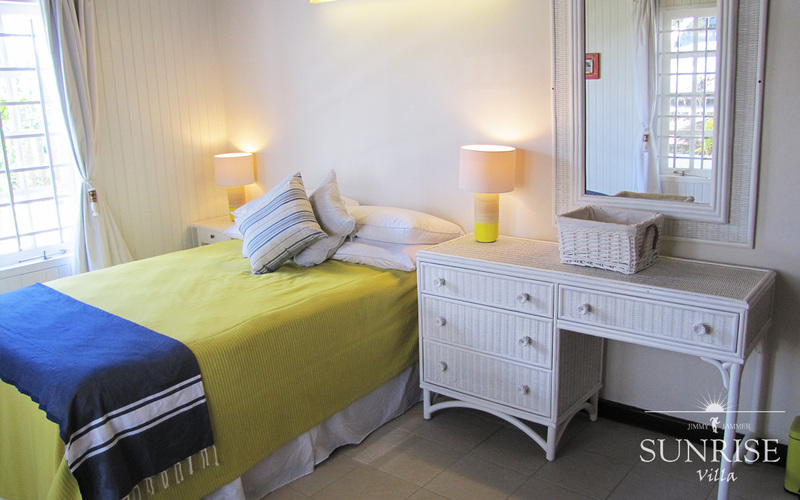 This bedroom is located near the entryway of the villa. With two bright windows there is a lot of natural light. Decorated in bright colors this is a fun, cheerful room. This bedroom shares a bathroom with Sea. Copyright 2017 © Jimmy Jammer Sunrise Villa | Site managed by Niche BHOC.